Offering you a complete choice of products which include paver block making machine, concrete block making machine, hydraulic block making machine, semi automatic concrete block making machine and hydraulic concrete block making machine. 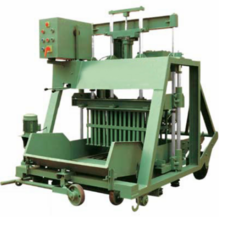 We offer high performing Paver Block Making Machine that are very useful and easy to use on site. These are used to increase the production as well as produce quality paver blocks. We are instrumental in offering our clients high performing Concrete Block Making Machine. These are fitted with a powerful motor of and are installed with panel boards for ease in operation. 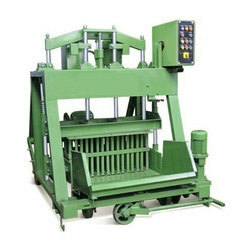 The machine can produce 8" block in 4 numbers, 6" block in 5 numbers and 4" block in 8 numbers. We are committed to offer our clients high performing Hydraulic Block Making Machine. Fitted with panel boards and a powerful motor of, these machines can make blocks of various dimensions and specifications. Our machine can produce 8" block in 5 numbers, 6" block in 6 numbers and 4" block in 10 numbers. 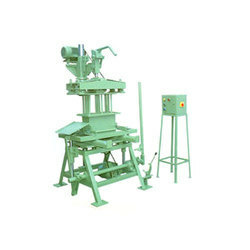 We are offering Semi Automatic Concrete Block Making Machine. With the aid of our modern manufacturing facility, we are offering our clients highly efficient Hydraulic Concrete Block Making Machine. We have installed well controlled panel boards and a powerful motor. Our machine can produce 8" block in 2 numbers, 6" block in 3 numbers and 4" block in 4 numbers.